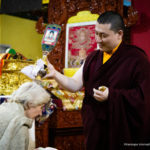 Monastic monks and nuns, high lamas, dignitaries, and lay devotees from all over the world have gathered in Karmapa International Buddhist Institute in New Delhi in anticipation of the sacred ‘kudung’ of His Holiness the 14th Gyalwa Shamarpa. 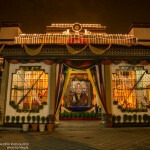 A contingent of high lamas and dignitaries will be at the New Delhi airport at the early hours of 22nd June, 2014 to receive the sacred ‘kudung’ of Gyalwa Shamarpa. 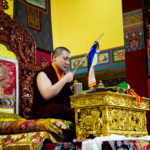 His Holiness the Gyalwa Karmapa had travelled to Germany and will be personally accompanying the ‘kudung’ on its journey to New Delhi. 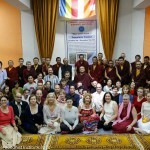 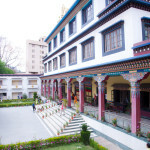 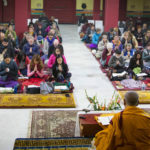 After a week of fervent preparations, Karmapa International Buddhist Institute (KIBI) will receive the sacred ‘kudung’ and also host the many high lamas, monks and nuns from many sects of Buddhist who have congregated here to receive the sacred blessings of the ‘kudung’, and pay their final respects. 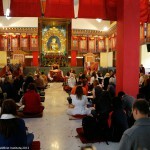 The ‘kudung’ will be open to devotees from all over the world and the general public from 22nd June to 30th June. 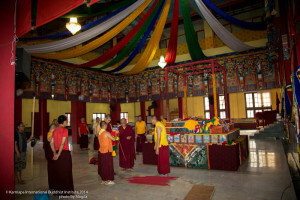 Thereafter, the ‘kudung’ is scheduled to be escorted to Shri Diwakar Institute, the ‘shedra’ founded by Gyalwa Shamarpa in Kalimpong, for the benefit of all Himalayan Buddhist monastic and populace. 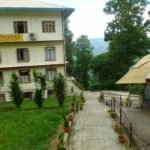 New Secretary Appointed at K.I.B.I.